These rankings show how the California sales tax compares to the other 49 states + DC. The state with the highest sales tax is ranked 1st, and states with the same sales tax have a tie rank. California has a higher-than-average sales tax, including when local sales taxes from California's 507 local tax jurisdictions are taken into account. California has a statewide sales tax rate of 6.00%, which has been in place since 1933. Municipal governments in California are also allowed to collect a local-option sales tax that ranges from 1.25% to 4.50% across the state, with an average local tax of 2.364% (for a total of 8.364% when combined with the state sales tax). The maximum local tax rate allowed by California law is 3.50%. You can lookup California city and county sales tax rates here. This page provides an overview of the sales tax rates and laws in California. 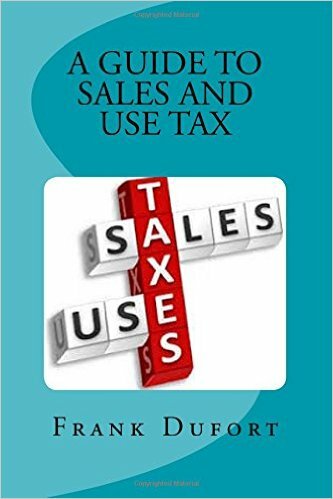 If you are a business owner and need to learn more about things like getting a sales tax permit, filing a sales tax return, or making tax-exempt purchases for resale see the California Sales Tax Handbook's Table of Contents above. What is exempt from sales taxes in California? For more details on what types of goods are specifically exempt from the California sales tax see California sales tax exemptions. To learn more about what types of transactions are subject to the sales tax to begin with, see what purchases are taxable in California? Taxation of vehicle purchases in particular are discussed in the page about California's sales tax on cars. Are services subject to sales tax in California? "Goods" refers to the sale of tangible personal property, which are generally taxable. "Services" refers to the sale of labor or a non-tangible benefit. In California, services are generally not taxable. California Sales Tax Note: As several readers have noted, the true statewide tax rate in California is 7.5%. This includes the 6.5% state sales tax, plus a 1% uniform local sales tax, also collected by the BOE. We break sales taxes down in our database by attribution, which is why the CA state tax is displayed here as 6.5%. California's 7.5% statewide base sales tax is the highest minimum sales tax rate in the United States. The 1% uniform local sales tax is collected by the Board of Equalization, with 0.75% distributed to cities and counties and the remaining 0.25% going to county transportation funds. It should be noted that the total sales tax rate can vary significantly depending on which jurisdiction you are in, as many localities charge their own separately-administered local sales taxes on top of the 1% state-administered local tax. In California, the sales and use taxes are collected by the Board of Equalization, while franchise and income taxes are collected by a separate board, the Franchise Tax Board. One of the reasons California's sales tax is so high compared to other states is Proposition 13, a 1978 law that capped property taxes across the state and forced local governments to turn to sales taxes as an alternative source of revenue. Overall, the state of California has a relatively complex sales tax system compared to other states. We provide a thorough overview here on SalesTaxHandbook, and the Board of Equalization has a hotline available to answer sales tax related questions at 1-800-400-7115. Is the California Sales Tax Destination-Based or Origin-Based? California is a origin-based sales tax state, which means sales tax rates are determined by the location of the vendor, not by the location of the buyer. The origin-based method of determining sales tax is less complicated for vendors than destination-based sales tax, because all in-state buyers are charged the same sales tax rate regardless of their location. Is California a Streamlined Sales Tax State? California is not a member of the Streamlined Sales and Use Tax Agreement. The SSUTA is an agreement adopted by about half of states that ensures that their sales tax laws are simplified to lower the costs associated with compliance. The California Sales Tax is administered by the California Board of Equalization. You can learn more by visiting the sales tax information website at www.boe.ca.gov. Simplify California sales tax compliance! We provide sales tax rate databases for businesses who manage their own sales taxes, and can also connect you with firms that can completely automate the sales tax calculation and filing process. Click here to get more information. Need an updated list of California sales tax rates for your business? Download our California sales tax database!